The youngsters, from Brighton, all needed emergency treatment after taking the addictive tranquilizer which is 20 times stronger than Valium. Alprazolam, which is usually known by the brand name Xanax – is used to treat anxiety. It is neither illegal in the UK nor available on prescription. Users of it are understood to turn to the dark web to source it – but Public Health England have warned those who take it recreationally are “dicing with death”. The six youngsters all fell ill within a week of each other. Brighton And Hove Council confirmed they had taken the drug recreationally. It comes as it emerged that over 100 people have been treated in connection with abuse of Benzodiazepines – the group which Xanax belongs – at the Royal Sussex County Hospital in Brighton since last July. Xanax is widely prescribed in the United States to treat anxiety, and it can also be obtained on private prescription in the UK. 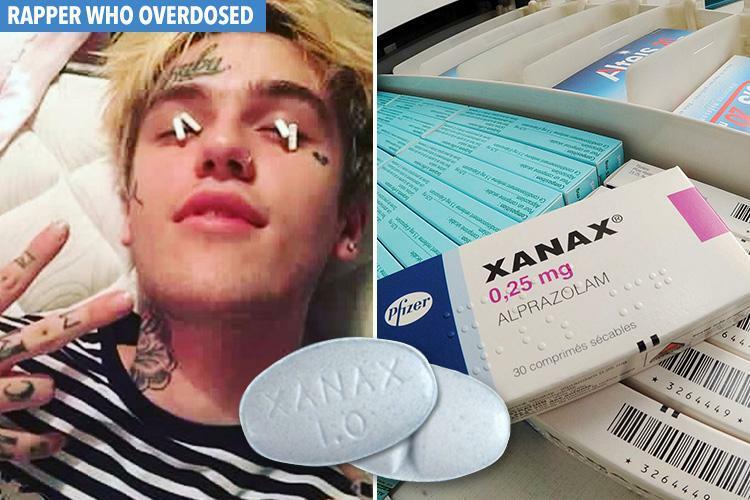 In November American rapper Lil Peep was found dead after taking an overdose of it mixed with powerful painkiller Fentanyl. Dr Peter Wilkinson, public health consultant for Brighton council, said: "There is increasing concern about the use of Xanax. It can have a wide range of harmful effects and overdoses can be fatal particularly when taken with alcohol and other drugs. "As Xanax isn't available on prescription from the NHS people are getting it online, probably through the dark web, which means no one actually knows what it is they're buying." Rosanna O'Connor, Public Health England's head of alcohol, drugs and tobacco, said "It is a real and immediate concern among the young people who it seems to be a drug of choice for. "People buy things from the internet and they have no guarantee of what they are getting so whatever is in the drugs they buy could change from one drug to another. A Brighton GP previously spoke anonymously about the drug’s effects, saying: "It's incredibly addictive, and can make you fall into a very deep sleep which has risks. "It can depress your respiration and you can stop breathing, especially if you take too much of it." Worried parents are advised to discuss with their child's doctor and further information can be found at thedrugswheel.com or talktofrank.com.